Did you know our sense of taste for sweetness and savory begins at birth? Throughout our life, we depend on the five taste senses of sweet, sour, bitter, salty and savory to react to our environment and detect any health issues. 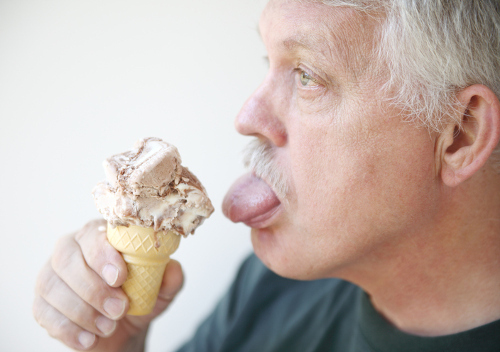 After the age of 50, we may begin losing our taste buds slowly, but experiencing a loss of taste is usually temporary and should alert us to a possible underlying condition. Let’s look at why our taste buds are so important to our lives and how impaired taste can lead to a decline in our health. Our sense of taste is received through the brain’s perception of three specialized taste nerves. These messages are sent by our taste sensory cells located in taste buds in our tongue, throat lining, and on the roof of our mouth. Any interruption, such as a blockage, impairs our tasting abilities. A complete loss of taste is known as ageusia while a form of impaired taste is referred to dysguesia. Loss of taste in elderly is common but it can affect any age group. Our sense of taste works hand in hand with our sense of smell, especially when it comes to the flavors in our food. We embrace flavors with our response to texture, spiciness, temperature, and aroma. To understand this, the next time you have a chocolate, pinch your nose while you eat. You may recognize the taste of sweetness or bitterness, but what you won’t recognize is the chocolate itself as you will not be able to smell the aroma. This is why in some situations it is the sense of smell that is at cause rather than a loss of taste. What Causes Loss of Taste or Impaired Taste? A partial or complete loss of taste can be troublesome as we depend on our taste buds to warn us of potential food dangers and control our eating habits. It can be a symptom of serious health matters such as respiratory infections or conditions of the sinuses, tongue, mouth, and even the central nervous system. If our body lacks nutrients, it can cause damage to nerves and those directly connected to our tongue will lose sense of taste. Loss of taste can also signal a life-threatening health issue that requires immediate medical attention. It could be a symptom of a brain tumor, oral cancer, serious head injury, or even a stroke. Impaired taste can be an early warning sign of transient ischemic attack. A temporary loss of taste can be accompanied by other symptoms, depending on the cause. One of the most common is tasting flavor when nothing is present, known as phantom taste perception. You may also have a reduced taste of a flavor, or hypogeusia. Sinus infection or nasal conditions may present face swelling, pressure or pain, especially around the eyes, nose and forehead regions. Other symptoms may be fever, sore throat, nasal congestion, and postnasal drip. Symptoms affecting the digestive system may include bloating, indigestion, heartburn, abdominal pain or even coughing. Signs of a nutrient deficiency are fatigue, diarrhea, brittle nails, loss of appetite or hair, a rash, or changes in your tongue. Issues with the salivary glands are signaled by dry mouth, face or mouth pain, sore throat, fever, redness or swelling of face and neck, or inability to open your mouth. There are times when immediate medical attention is required with a loss of taste. Seek help if you experience numbness or weakness on one side of the body, any change in vision or speech, or if you have a fever higher than 101 degrees Fahrenheit. Left untreated, a loss of taste can lead to a variety of serious health conditions that can be mild to life-threatening. An impaired taste issue can result in malnutrition, dehydration, paralysis, and the spread of infections and diseases such as cancer. Depending on the cause, loss of taste treatment may require a visit to a medical professional. Your doctor will prescribe antibiotics for issues stemming from infections in your salivary glands, throat, and sinus cavity. 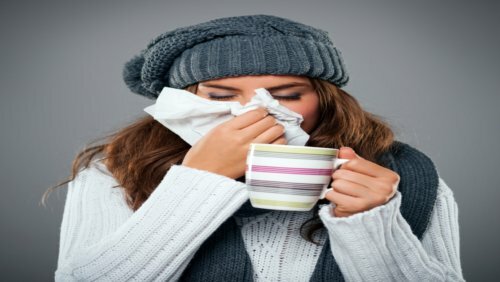 If you are suffering from the cold, allergies, or flu, antihistamines or decongestants may be used. A problem with your central nervous system or an autoimmune disease will call for specific medication to restore your loss of taste. You may just need a supplement to restore a deficiency in nutrients. If your impaired taste is not related to a more serious condition, you can help repair your taste sensation with home remedies. We have listed a few powerful substances that may awaken your sense of taste. Ginger can stimulate your taste buds as you chew on raw pieces or drink ginger tea. Cayenne pepper may help clear any sinus blockage that is causing your impairment of taste. Lemons are great for the senses and your taste buds could perk up with a slice of the zesty fruit. Apple cider vinegar works to stimulate taste buds with its acidic and sour taste. Drink a mixture of one tablespoon of apple cider vinegar and 1/4 teaspoon of baking soda in half a glass of water twice a day. Cinnamon is a powerful motivator for taste buds. With equal parts of cinnamon and honey, mix together and apply the paste-like substance on your tongue. Rinse with warm water after 10 minutes. We depend on our sense of taste to guide us through our daily activities of eating and drinking, as well as specific environmental changes. Experiencing a loss of taste, or impaired taste, can be the body’s first response to a developing or existing health condition. There are home remedies and prescribed medications that can help the taste nerves receive signals from your taste buds. Ignoring this temporary condition may invite complications that could be life-threatening. If you notice your foods and drinks lacking taste, take the time to investigate. “Loss of Taste”, Healthgrades web site; https://www.healthgrades.com/right-care/oral-health/loss-of-taste, last accessed February 10, 2017. “Loss of Taste in the Elderly”, Aging Care web site; https://www.agingcare.com/articles/loss-of-taste-in-the-elderly-135240.htm, last accessed February 10, 2017. Roth, Erica, “Impaired Taste”, Healthline web site, August 8, 2016; http://www.healthline.com/health/taste-impaired#Overview1, last accessed February 10, 2017.